In this scene from Hilary Mantel’s historical novel Wolf Hall, King Henry VIII informs Thomas Cromwell of his value in no uncertain terms. Cromwell exists at court because — and only because — of his extraordinary ability to “execute” the king’s desires. At this point, Henry wishes to declare himself supreme head of the English church, thus trumping papal authority and validating his union with Anne Boleyn. To do so, he needs the “cunning” of his great administrator. However, Henry also recognizes that there exists a dangerous flip side to Cromwell’s cleverness, and that is that such a man can become a “viper” in the “bosom” of those who trust him. This statement is ironic given that, just a few years later, Henry himself would become the viper to Cromwell. Nonetheless, Mantel’s choice to make Cromwell a protagonist is a bold one, because Cromwell is a controversial figure among historians and, to some students of Tudor history, a scheming villain. Yet however one judges his actions, Cromwell is one of the Tudor period’s most intriguing figures. He also is one of the most important because, in his rise to power, we witness the ascendancy of a”new man” whose qualities anticipate more modern ideas about what constitutes personal power and success. The early details of Cromwell’s life are elusive, even for a Tudor figure. Here, in brief, is what we know. He was born in Surrey around 1485 to one Walter Cromwell, a blacksmith and merchant, and he had two sisters. At one point during his youth, he traveled to the Continent, where he seems to have served as a mercenary soldier and acquired fluency in several European languages. Here Cromwell must have received a considerable education in business and politics, for he served an Italian merchant, helped facilitate English ecclesiastical relationships with Rome, and lived among English merchants in the Low Countries. When he returned to England, he established himself as a businessman and lawyer, gained membership in the House of Commons, and served Henry VIII’s powerful minister, Cardinal Wolsey. After Wolsey’s fall, Cromwell himself managed to rise, gaining a seat in Henry’s Privy Council and then almost every prestigious office after that, eventually becoming Lord Great Chamberlain. Having gained many enemies at court, he met his own demise in 1540 when, after brokering the disastrous marriage between Henry and Anne of Cleves, Henry became convinced that Cromwell had committed “treason.” Cromwell was convicted without trial and suffered a botched execution — a gory and humiliating end for a man who, not long before, seemed untouchable at court. Cromwell was easy to dislike. He was not known for “charm” or “personal beauty,” as Mantel’s Henry sarcastically notes, but for cold calculation and an almost superhuman work ethic. These are not glamorous traits. In the television series The Tudors, actor James Frain gives us a deceptively quiet Cromwell, dressed completely in black, lurking on the margins while the rest of the court indulges in revelry. Amongst such attractive characters as Henry VIII, Anne Boleyn, and Charles Brandon, Cromwell merely blends into the background. He is always at his superiors’ bidding, giving the appearance that he possesses no agenda of his own. He hardly looks like the man who would become the most powerful man in England, second only to the king. Yet therein lies Cromwell’s fascination — in the dangerous politician operating beneath the plain demeanor. The contrast between outward appearance and interior man points the way toward his importance as a historical figure, for Cromwell’s career heralds an entire later class of figures who would achieve power not through pedigree, but through hard work, persistence, and yes, “cunning.” Elizabeth I’s great minister, William Cecil, serves as an example. Cecil was an expert politician, particularly apt at detecting the early signs of political change. His faithful service to Elizabeth led her to elevate his status, making him “Baron Burghley” and thus inaugurating the powerful “Cecil dynasty” of politicians that would include two Prime Ministers. To be sure, people of Tudor England regarded men of ambition as highly suspect. Many of William Shakespeare’s dramatic villains share Cromwell’s characteristics: consider Edmund’s determination to surmount the circumstances of his birth in King Lear, Richard III’s cleverness at swiftly removing obstacles in The Tragedy of Richard III, and Iago’s skill at keeping up appearances in Othello. Yet in later centuries, these very traits, cast in a new light, became admirable virtues in the West, as exemplified by Horatio Alger Jr.’s novels of nineteenth-century American life, where a young man of humble origins pulls himself “up by the bootstraps” and acquires respectability through cleverness, courage, hard work, and a commitment to himself in the face of difficulties. More recent variations of the “self-made man” include John D. Rockefeller, Henry Ford, and Bill Gates. All achieved prominence on the strength of their intellects and personalities, despite obscure beginnings. Such a person becomes a valuable asset in a variety of professional settings, perhaps because he or she has much to prove in order to gain trust and respect. But still, Henry himself only fully recognized Cromwell’s value after his execution, lamenting the loss of such a loyal and effective counselor and accusing his courtiers of falsely charging Cromwell with treason. Whatever his methods, Cromwell got the job done. None of Henry’s administrators would ever replace him. CROMWELL: You have my life in your hands. ANNE: You have mine in yours. This “balance” later tipped along the lines of a single question: what was to be done with the revenues accrued from the dissolution of the monasteries? While Cromwell wished to place the money into the king’s coffers, Anne believed that the money should be used in the service of education and the poor. This does not explain, however, why their disagreement turned deadly. Some argue that the dispute prompted Cromwell to mobilize existing circumstances — like Anne’s “failure” to produce a son and the ascendancy of the Seymours — to orchestrate Anne’s swift removal. As far as the available evidence goes, the precise nature of Cromwell’s role in Anne’s downfall remains inconclusive. What we can say, however, is that the byzantine politics of Henry VIII’s court created a power struggle between Cromwell and Anne, and this time, Cromwell would emerge the winner — if by “winner,” we mean the survivor of this particular struggle to fulfill Henry’s constantly shifting wishes. 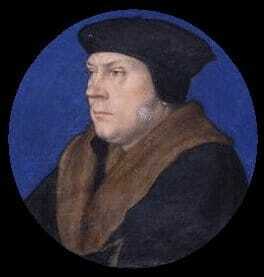 Cromwell, like Anne, ascended to prominence in large part because he understood the rules of the game. Indeed, if Cromwell did move against Anne, we cannot be sure that Anne would not have done the same against a threat to her person — or her own deeply held beliefs. Yet if any place ever embodied what Shakespeare calls “the slings and arrows of outrageous fortune,” it was Henry VIII’s court. A mere four years later, Cromwell would himself become the “loser,” proving that even a serpent’s cunning eventually could be outmatched by the fickleness of royal favor.